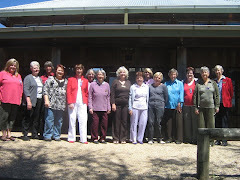 VIEW (Voice, Interest and Education Women) Clubs of Australia have over 400 clubs around Australia where women of all ages meet for a meal once a month for friendship, fun and learning. We are upto 97 hits on the "view my complete profile". This is a great incentive to get people to have a browse. well done yet again Lydia. Pauline S.
Would you like to make a donation to Lake George Day VIEW's Club next project? You would? Now that's wonderful! Leave a comment on this blog with your contact details (email only) and I will contact you and remove your email off the blog for your privacy. Our ongoing project is "Learning for Life" for the Smith Family. Alternately by joining our club you will be making a contribution in a fun and nurturing way both to yourself and to those less fortunate.